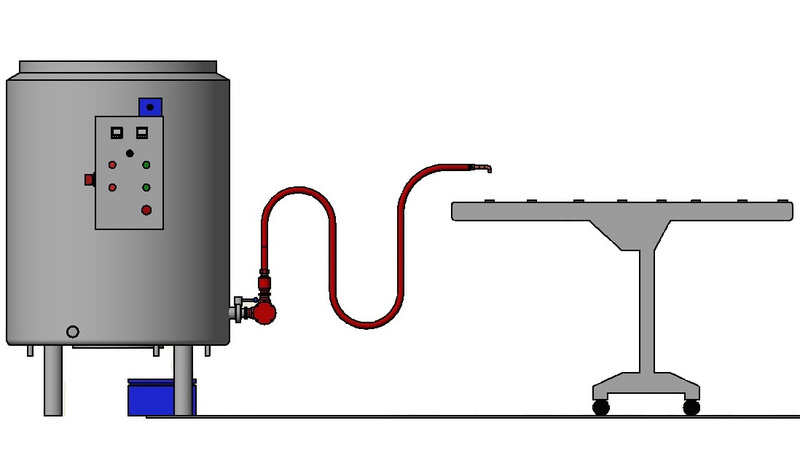 Category: Melting & Tempering Tanks. 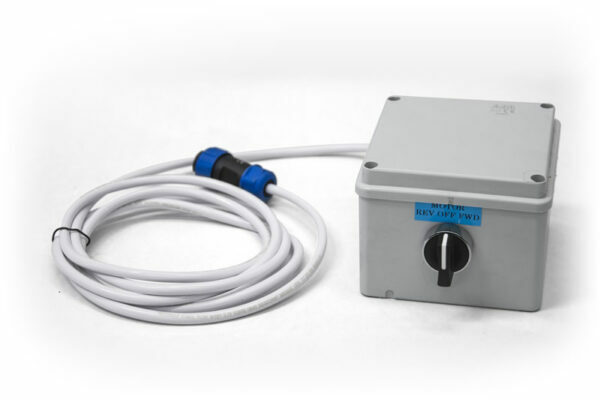 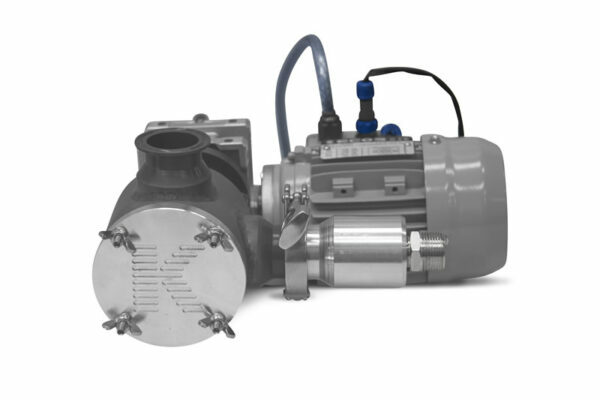 The Keychoc Transfer Pump can be supplied to fit most tanks. 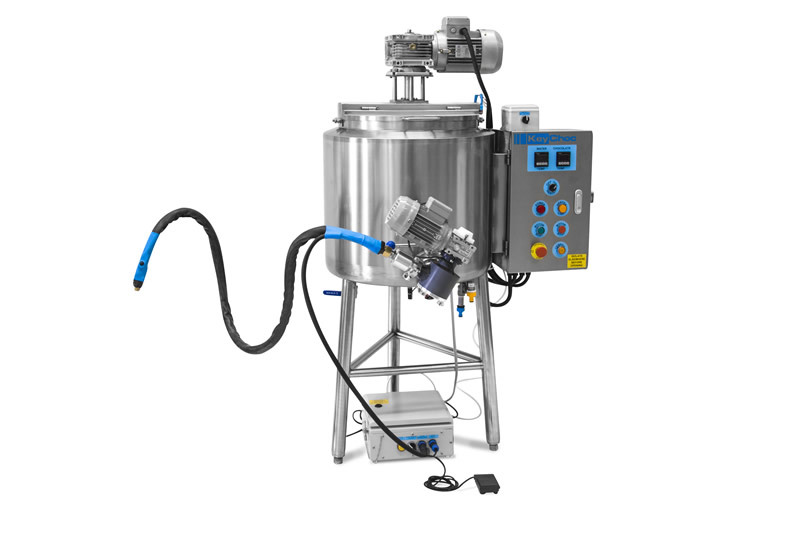 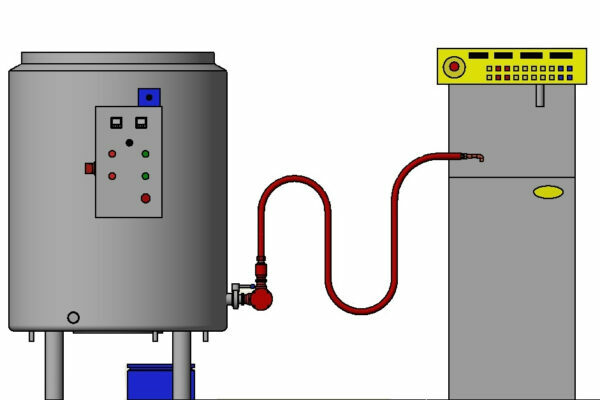 It is an ideal way to pump chocolate or other fat based products a short distance from a tank to a continuous temperer, enrobing machine or other processing machine. It can also be used very easily to just “remote-dispense” chocolate directly into or onto a product on a different line, for example to add a layer of chocolate on a tray-baked product such as millionaire’s shortbread. 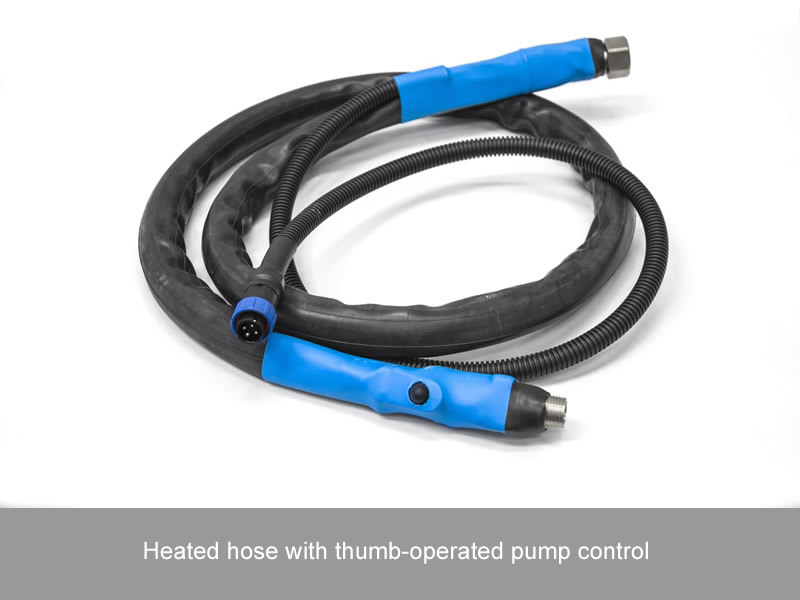 It is fitted with a heated flexible hose, a foot-pedal operated dispensing mechanism as well as a hand-operated dispensing trigger on the end of the hose. 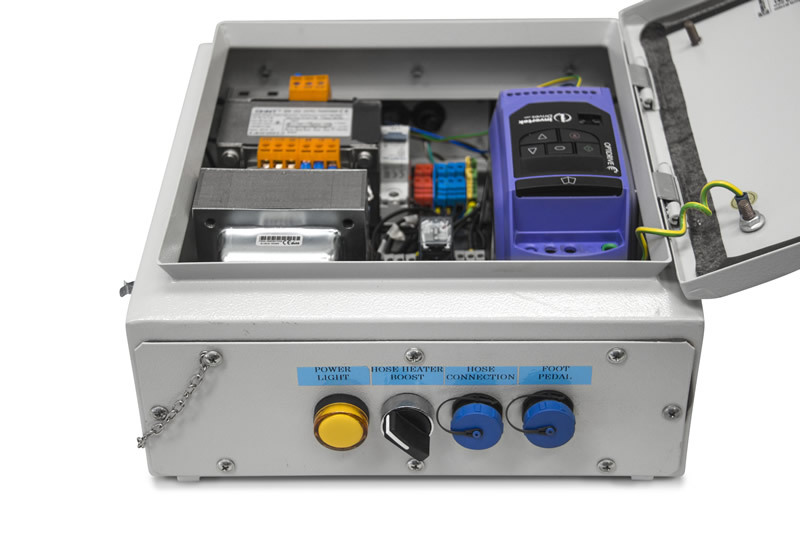 The system is supplied with all the components required to just “plug ‘n play”.